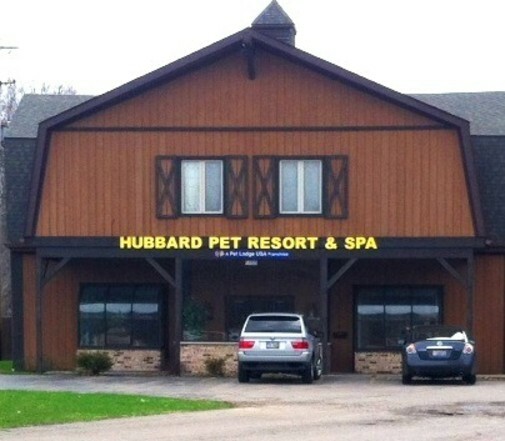 At Hubbard Pet Resort & Spa, our motto is "We'll Love Them Like Our Own." 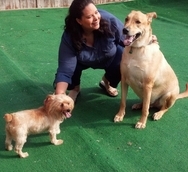 Dog and cat owners looking for dog boarding, cat boarding and professional pet grooming services want more than a run-of-the-mill kennel. Our commitment to our pet parents is peace-of-mind care for the ones you love. taking care of our beloved family pet." For dogs, we start potty trips between 7 and 7:30 a.m. and continue at three-hour intervals until the last potty, between 9:30 and 10 p.m.
Cats enjoy ample time every day to play and explore in our spacious Catio. Litter boxes are cleaned regularly. To reduce the chance of digestive upset, we feed your pet, according to your instructions, the food and treats you bring for them. Your pet can have two or three of their favorite toys in their dog suite or cat condo, or a t-shirt, pillow case or small towel with familiar scents from home for their emotional well-being. If your pet requires medication in any form, it is responsibly administered free of charge—except in the case of a hypodermic needle administration, which can be done for a small fee. The interior of the resort is kept at a comfortable 68 to 70 degrees, all year-round. 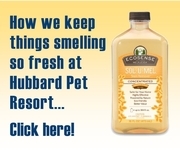 For the health of your pet, we clean with only biodegradable, pet friendly products. The resort is staffed 24/7, 365 days a year for the safety and security of your pets. The physical and emotional well-being of your four-legged children is our only concern while they are in our care. We will call them by name, offer cuddles and hugs often, and return a happy, well-adjusted pet to your embrace at the end of their stay. Thank you for entrusting your precious pets to us while you are away. 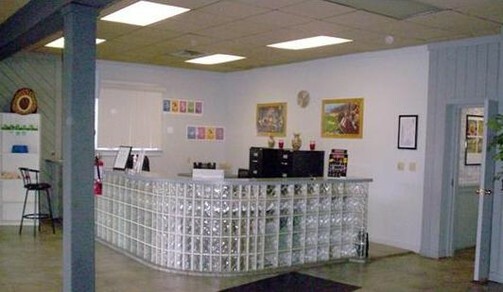 and pet grooming services in Youngstown, the Mahoning Valley and the Shenango Valley. NOTE: Mon. through Sat. we are closed between 12 noon and 3 p.m. so we can give our guests our undivided attention.